I’ve put together this infographic to help explain the 8x bubble that altcoins has seen in the last two months. Two words: Scaling Debate. 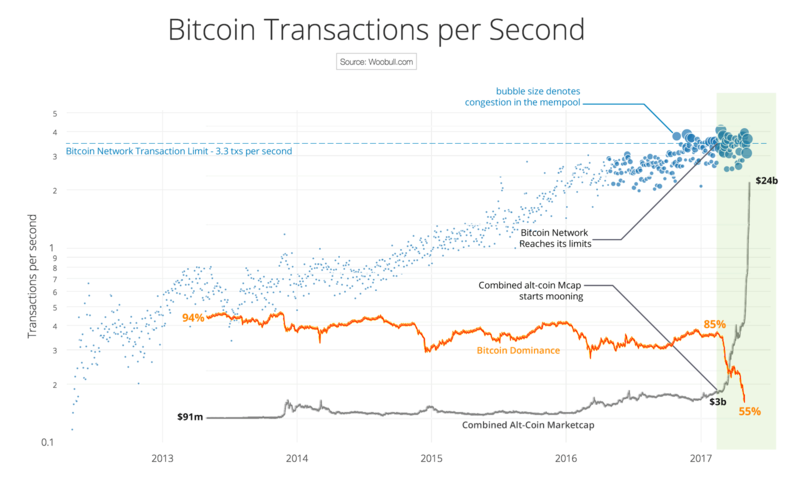 Bitcoin’s scaling deadlock has not resolved and transactions on its network are now at full capacity without a clear resolution in the near future. This 8x altcoin price action happens in a back drop of Bitcoin itself gaining a 2x. I’ll keep this article short, in my opinion, Bitcoin is like a sleeping giant tangled in the weeds, if it ever gets loose, then the money in altcoins will start flowing back into Bitcoin. The question to ask right now for crypto-currency investors is…. when will this scaling debate resolve?